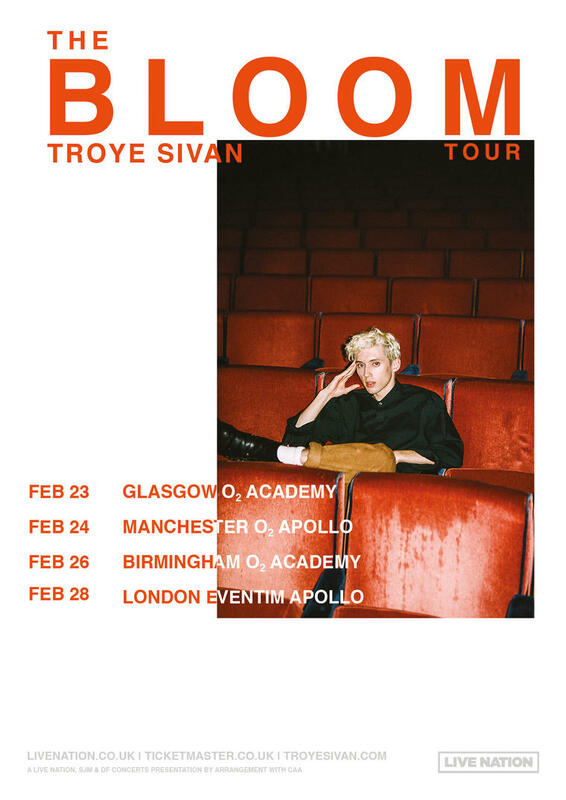 Troye Sivan announced on twitter the dates and locations for the tour in support of his second album ‘Bloom’. Troye showed his excitement in the lead up to the announcement. “It’s going to be a PARTY I can tell you guys that much”. Tickets go on pre-sale tomorrow on the Troye Sivan app. General sale of the tickets will be Friday 23rd November.